American Jews have profoundly shaped, and been shaped by, American culture. Yet American history texts have largely ignored the Jewish experience. The Encyclopedia of American Jewish History corrects that omission. In essays and short entries written by 125 of the world's leading scholars of American Jewish history and culture, this encyclopedia explores both religious and secular aspects of American Jewish life. It examines the European background and immigration of American Jews and their impact on the professions and academic disciplines, mass culture and the arts, literature and theater, and labor and radical movements. It explores Zionism, antisemitism, responses to the Holocaust, the branches of Judaism, and Jews' relations with other groups, including Christians, Muslims, and African Americans. 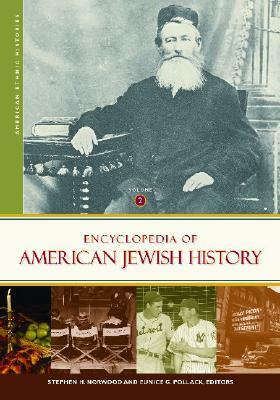 The encyclopedia covers the Jewish press and education, Jewish organizations, and Jews' participation in America's wars. In two comprehensive volumes, Encyclopedia of American Jewish History makes 350 years of American Jewish experience accessible to scholars, all levels of students, and the reading public. Stephen H. Norwood, PhD, is professor of history and Judaic studies at the University of Oklahoma, Norman, OK. He received his degree from Columbia University, one of the world's leading centers for Jewish studies. His published works include numerous articles published in journals such as American Jewish History and Modern Judaism.Eunice G. Pollack, PhD, teaches history and Jewish studies at the University of North Texas, Denton, TX. She received her degree from Columbia University, one of the world's leading centers for Jewish studies.